Royal Oak Roofer | Royal Oak Roofing | Royal Oak Roof ReplacementMcGlinch & Sons CO.
McGlinch & Sons knows that a roof replacement can be an expensive and time-consuming process for our customers. We want to take the hassle and fear of the unknown out of the equation for the homeowners of Royal Oak. Meet with a McGlinch roofer today to determine if your home or business roof needs immediate repair or if a roof replacement would be the best option. Free comprehensive estimates are always available, and you will know what your new roof replacement will cost, so there are no surprises. Don’t get caught with unexpected costs, call us for a quote for your roof replacement or repair. We guarantee our work and your satisfaction! 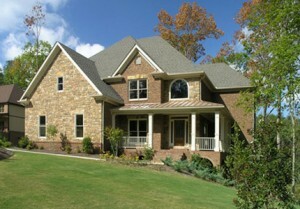 Your Royal Oak residence will stand out with a custom roof replacement from McGlinch. The city of Royal Oak developed as a suburb of Detroit in the early 20th century. Boasting a population today of nearly 58,000 residents, it is the 8th largest city in Oakland County, Michigan. Dependable service and timely completion of your roofing project makes McGlinch the roofing industry leader near Royal Oak. Our friendly customer service teams and expert roofers are ready to serve the homeowners and businesses of Royal Oak with free roof replacement estimates and customized roof replacement options all at affordable prices. We have the expert roofers who can perform an onsite inspection of your roof damage and give you an accurate roofing estimate. McGlinch is committed to customer satisfaction from the initial roof quote to the finished project, and we want to earn your loyalty for all your future roofing needs. It’s no surprise that our expert roofers have the experience and skill to handle any roof replacement job effectively and efficiently, regardless of the size. For over a century, we have been exceeding customer expectations by being the high performing roof company of choice. Call McGlinch & Sons for a free quote today at (248) 987-6300.